Following his studies in Fine Art at Central Saint Martins in London, Andrew Winch intended to be a sculptor, but his father insisted he adopt a more practical profession and so Winch went on to study 3D design at Kingston College. 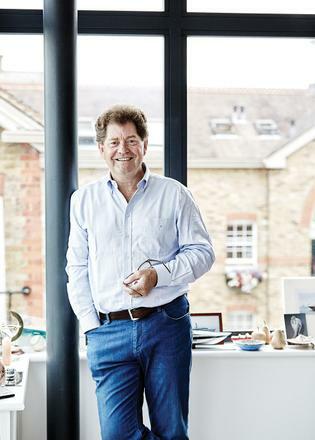 When it came to selecting a specialism he chose superyacht design and the rest is history. After managing to persuade the great Jon Bannenberg to tutor him during his time there, he later joined the pioneering yacht design firm, spending six years learning his trade. In 1986, Winch set up his own studio with his wife Jane. Winch Design specialises in the interior and exterior design of both sailing and motor custom superyachts, as well as private jets and land-based architecture. From their riverside studio in leafy Barnes, London, more than 65 team members of 20 nationalities now work across their different disciplines. Among many significant custom yacht projects are the 133 metre Al Mirqab, the 85 metre LürssenAce, the 99 metre FeadshipMadame Gu, the 156 metre Dilbar, and the sailing superyachts Inoui, Unfurled and Hamilton II. Winch Design has also produced some beautiful tenders, including the limousine tender for Madame Gu and a modern, watersports-equipped sports tender forPhoenix 2. 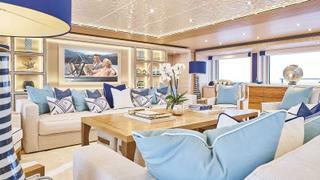 They have also partnered with the likes of Nobiskrug and Heesen to create innovative concept yachts. The studio’s awards are numerous and include Motor Yacht of the Year for Dilbar at the 2017 World Superyacht Awards, Best in Class and Motor Yacht of the Year for Madame Gu in 2014, and the Monaco Yacht Show’s Best in Show for Equanimity in 2014. 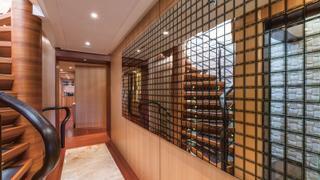 Andrew Winch is undoubtedly one of the world’s most respected custom yacht designers. Jon Bannenberg once told me a story, that 40 or so years ago he asked his client, a Middle Eastern royal, what sort of music system he would like on board. His response was, ‘When I want music, they play!’ The idea of having to turn on electronic music didn’t even occur to him, because he had musicians who would play for him whenever he wanted. Of course, now every superyacht will be kitted out with the best audio-visual systems but each client’s demands will be different. Some may want huge TV screens that can play music videos or sport continuously throughout the day; others want these items to be much more discreet. The common desire is that AV and control systems are of the highest quality but simple to use. To coin a phrase, they should be idiot proof. The worst thing is being on a yacht and not even being able to turn on the television or work the light switches. It’s the job of the designer to note that everybody’s ears are different. I might like the sound from one pair of speakers, but a client will favour another, so it’s about finding what works best. It is the same when considering where to place a television screen or the layout of a cinema room. Everyone’s focusing depth is different so people will be more relaxed nearer or further away from a screen. We’ll assess exactly where the owner likes to sit to view the screen, and then we’ll ensure that is the sweet spot for the sound. On Here Comes The Sun we had a cinema room that was designed with daylight use in mind, for the kids to enjoy PlayStation or the adults to watch sport. We intentionally located it in a cabin with very large portholes so with the curtains open you get a very different atmosphere from a traditional cinema room on a boat. 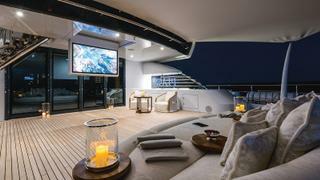 On Cloud 9_ _we had an exterior cinema screen on the aft deck, along with an enormously deep exterior sofa. You can fit at least 10 people on the sofa and watch a movie under the stars at night. It’s about considering the lifestyle of the owner and their family. We’ve done outstandingly good nightclubs on the exterior, too, with light-up dance floors and large mobile speakers that can be plugged into power on almost every deck, so the party can be moved. You can have state-of-the-art equipment but you need to think about how it’s going to be used and cater to that. It’s about improving the experience on board. We recently created custom-built seating for a cinema that moved in response to action on screen; if there was a plane crash in the movie, the seat would shake. It was a complete sensory overload, which heightened the viewing experience. I consider one of the clearest, most elegant sounds to be a piano and we’re building about four or five custom electric pianos at the moment for different projects. It can be playing in the background during dinner or drinks and create a really beautiful atmosphere. And, of course, you can always invite Sir Elton John to bash away on it if he’s ever on board. Systems are always changing. As fast as you change your car you change your audio and control systems, so who knows what the future holds. We’ve worked with Crestron, Lutron and Apple for control, and we’re currently working with Master & Dynamic to produce a range of headphones and speakers, which we’re excited about.